We promise our 2 story retail store is like nothing you have seen. We have a cool collection of the finest dog products available: stimulating toys, natural 5 star foods,natural/organic supplements, gourmet dog bakery, stylish doggie apparel, dog salon and many funky gifts for dog lovers. Our products are unique, fun and functional for dogs & dog lovers. Our mission is to provide our customers, both dog & man, with quality lines, choice & variety while staying up on the latest trends. It is our desire to provide the best shopping experience for our customers & to offer items that compliment lifestyles & homes. We believe in promoting an active lifestyle, enhance well-being & strengthen the bond between dogs & their people Here at Dogma & Fetch, we pride ourselves on riding the cutting edge of pet trends. 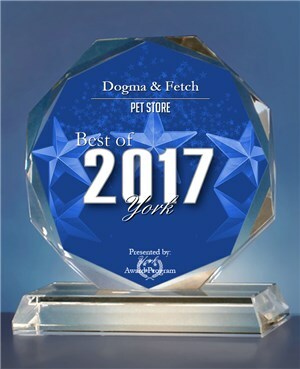 We were voted Best Pet Retail Store year after year & have been featured in many newspapers & magazines. Most importantly, we understand the changing needs of our customers. If there is something you don’t see, just ask. We are here to assist you with all of your dog related needs. 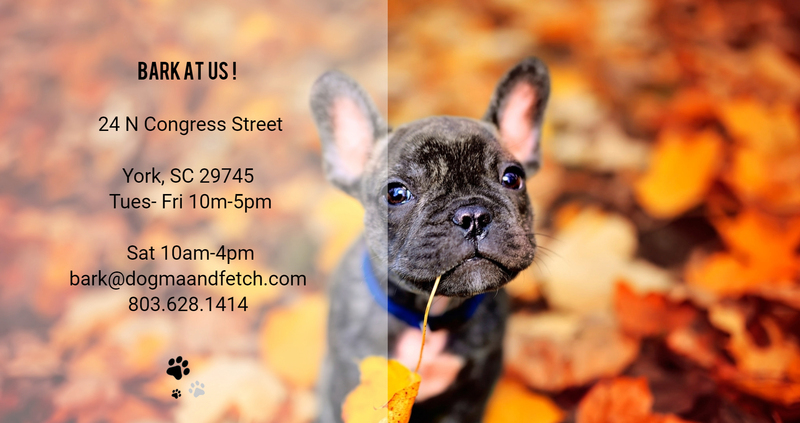 Dogma & Fetch represents more than just a dog marketplace, but a new way of engaging with your dogs. So, go ahead, pamper your pooch…we are here to help.